By now you probably know the sinking feeling of when your early champion pick gets countered and you find yourself in an unfavorable lane. In this article, Picklepants will teach you techniques and tricks for making sure you can not only survive a bad matchup, but also come out even or ahead. Life isn’t fair and neither is League of Legends. You will often find yourself in difficult situations where you’re countered, outranged or generally in a bad matchup. Learning how to come out ahead, or at least even, will allow you to still be relevant after the laning phase. Coming out ahead in the lane does not necessarily mean winning lane. It often means going even or not falling behind. How you define coming out ahead varies, but in a tough matchup, going even and staying even with the enemy could be considered coming out ahead. This is because you’re losing lane graciously and not feeding the enemy. For example, traditionally, the Rumble against Camille matchup goes into the favor of Camille during the laning phase. It can be quite difficult for the Rumble to lane against her. If the Rumble adapts his playstyle and gameplay through the suggestions we make in this guide, he can prevent himself from dying and mitigate giving Camille the advantage in lane. This means that he would be coming out ahead or even in lane, rather than totally losing the lane. The goal is to go even or win. If you cannot win, you should try to cut your losses and lose graciously. 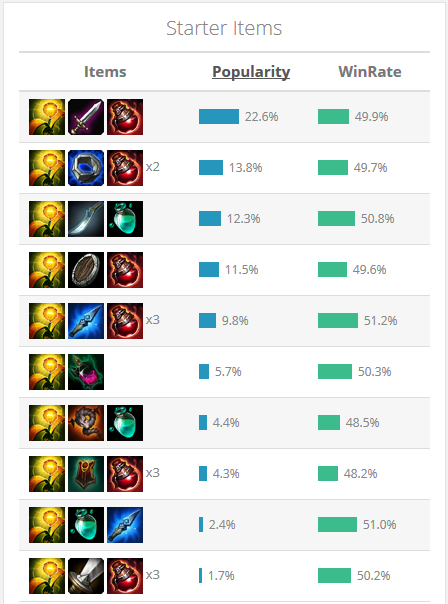 Thanks pick and ban phase, you can see who the enemy has picked ahead of time. Knowing who the enemy has picked will allow you to adjust your playstyle before the game has even begun. For example, if you know that you’re playing against a champion that pokes a lot in the early game, or somebody who has ridiculous damage, you can pick Runes and Summoner Spells that can counteract the enemy. 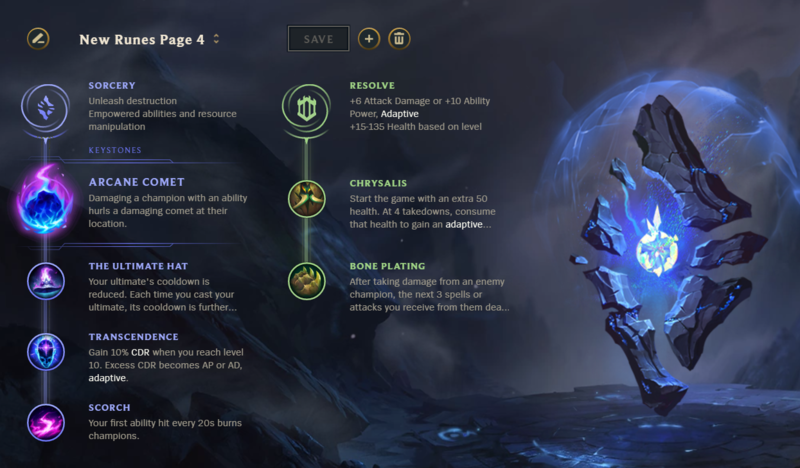 You should always take your core Rune tree when playing your favorite champion, but you can always switch up your secondary Runes when you’re in a tough matchup. There are a plethora of different secondary Runes that you can take, but you should take the ones that are best suited to you. If you’re in a “bad matchup,” you would benefit from taking Resolve for your secondary Rune tree. This is because this Rune tree provides you with sustain and defensive stats that will help you survive the laning phase. In line 1, the only real choice of Rune is Bone Plating. This is because it is the only Rune that gives us protection which is the ultimate goal of this Rune selection. In line 2, it’s possible to take each Rune but if you need early game protection, it’s better to go Chrysalis or Second Wind (you can take whichever one you want- but Chrysalis is currently stronger.) In the 3rd and final Rune line, it’s recommended to take Overgrowth as it gives you max health bonuses. As you can see, there is a range of Rune’s you can take. You need to remember what the objective is for this Rune tree. It’s for protection and survivability. This means that you should take Runes that will aid you in accomplishing your goal. To summarize, take the Runes that will help you survive the lane. As a solo laner, you may want to take Ignite and win lane, but unfortunately, when you’re in a tough matchup, this may not be possible. If the enemy can kill you, and you cannot kill them, then there’s no real point in taking Ignite! Instead, you can take Summoner Spells that would benefit your team like Teleport. More so in the Mid lane than the Top,- you can take Heal, Exhaust, Ghost, and Barrier too. Generally, as a Top laner, you want to stay clear of offensive Summoner Spells and instead take Teleport to help your team. Since the changes to Ignite, it has been a much better choice for Supports for a while now and it would be beneficial if you can continue to take it. However, if you are against a heavy assassin or full AD team, it would be a good idea to take Exhaust. With the recent rise of Soraka and heavily utility Supports, it can sometimes be “worth” taking Heal on ADC and Barrier on Support. 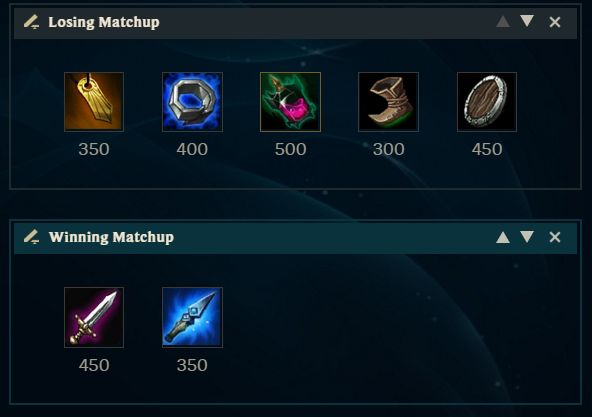 If the ADC is on the same page with the Support, then this can work well. The main reason to take variations of Runes and Summoner Spells is to survive the laning phase and to protect yourself against the enemy. League of Legends is super-snowbally and it’s important to get the best start possible. Taking the best Runes and Summoner Spells is different for each champion, so try to take the combo that you need. Your main goal when taking them is for protection and the ability to not fall behind in lane. Whether you’re in the Top lane or the Bottom lane, practically all champions can choose one of the other starting items in game. Picking the best starting item for your lane has many benefits, and choosing the right one will allow you to have an easier time during the laning phase. In the Top lane, you are a kid in a candy store with many possible starting options. You can take practically any starting item in the Top lane as long as your champion benefits from it. If you’re playing against a fighter as a tank, you may need to go Doran’s Shield or Corrupting potion to survive the laning phase. This is because you will be out-traded no matter what you do in lane and choosing one of those two items will give you a helping hand to survive. 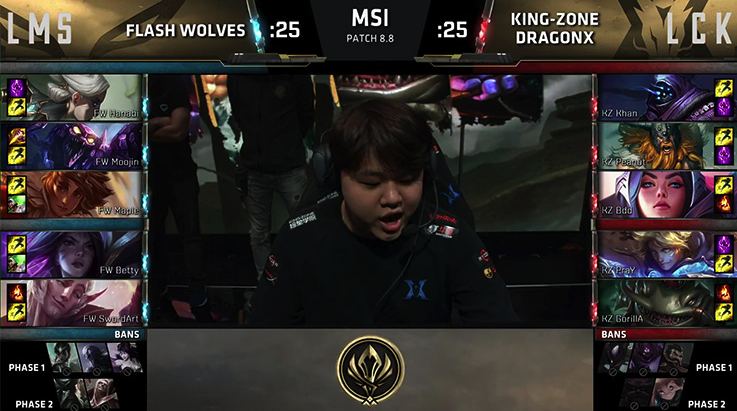 Unfortunately for Mid laners, you do not have the greatest choice in starting items. This is because picking a different item may result in you falling behind in lane completely and actually making yourself useless. You should probably stick to your usual starting item on Mid, but you can potentially back early for another Doran’s Ring or some more sustain on your second back. If you’re playing a ranged AD champion in Mid however, you can follow Top lane’s advice. As the Support, you may be playing a champion that can benefit from taking Spellthief’s and while it is often good to take, you shouldn’t take it every game. When you use your Spellthief’s, you will be putting yourself in a position where the enemy can trade with you. If the enemy can trade back with you, you will be unable to come out ahead of trades as you will lose HP. For example, if you’re playing Janna into Zyra, Zyra will out damage you and poke you down if you try to use your W or auto attack her. This means she will get more stacks, more gold, and deal more damage than you will be able to in one trade. So, taking Spellthief’s may not be worth taking in this matchup, and Ancient Coin may be a better fit. Like the Support, the ADC should also adapt their play style and item choice. 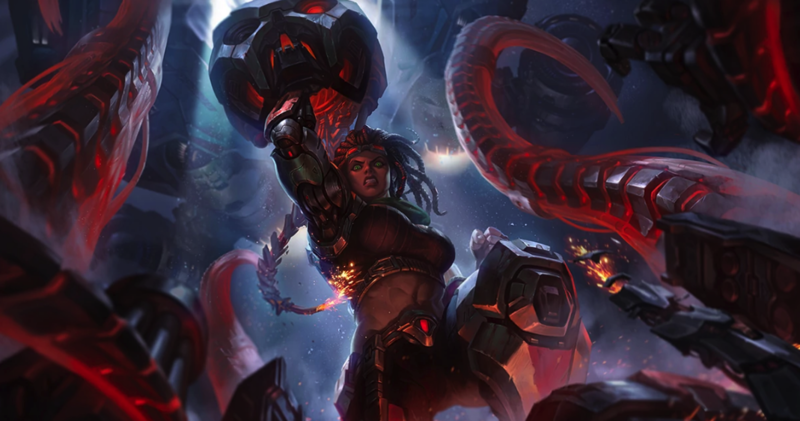 If the ADC is laning against an ADC and Support that likes to poke, fight often or are just a nuisance in lane, then taking Doran’s Shield instead of Doran’s Blade would be better for them. This is because Doran’s Shield gives some health, gives sustain and is overall, a very good item to protect yourself against the enemy. This will allow you to survive for longer in the laning phase as you will get regeneration which means that you can farm for longer without fear of death. Itemization from the get-go is important. If you’re in a tough matchup, adapting your item choice will allow you to survive for longer and allow you to get as much farm as possible. You may not want to adapt your starting item, which is fine, but be aware that you may be putting yourself at a disadvantage. The goal of your item choice early (in a bad matchup) is to survive and farm. Wave management in a bad matchup consists of playing it safe and not overextending. Your goal is to keep the wave in a position where you will a) not be denied farm and b) still be a threat to the enemy. Like all matchups, you want to be able to farm as much CS as possible and get as much gold as you can, so you should try to keep the wave in a good spot in order for you to achieve this. In the side lanes, you may feel like pushing the wave and trying to fight the enemy. However, in a tough matchup, you will be unable to do this. If the enemy counters you, you need to keep the wave towards your tower but outside of tower range. This is a good place to keep the wave as you will not be overextending and letting the enemy attack you. Wave management is slightly different for the Mid lane because it’s a shorter lane which makes waves hit quicker which (among other things,) can make wave management slightly harder. In the Mid lane, you can try to keep the wave on your side rather than the enemies side. Doing so will not only give yourself the chance to farm more but also deny the enemy some all-in potential. In the solo lanes, to hit level 2 first you need to get 7 minions. This consists of the first minion wave (6) followed by 1 melee minion on the second wave (7). In the duo lane (bot lane), it is 9 minions, which is the first minion wave (6) with the next 3 melee minions on the second wave (9). It is important to note that you need to kill the melee minions as you will not get level 2 if you kill the ranged minions. If you can hit level 2 before or at the same time as the enemy, you can prevent yourself from being denied farm and the enemy engaging on you. Avoid backing (when possible) if there is a Cannon minion in lane. You want to try to take this minion, and get the gold from it. If you miss out on the gold and the experience, you will see yourself falling behind in lane and you will be at a disadvantage. This is especially true against enemies who take it. You want to avoid falling behind in levels and one way of doing that is by being in range of the minion even if you’re not going to get it. If the enemy is constantly pushing against you, you should try to protect your tower for as long as possible. It’s good if you can keep the wave just outside the tower to prevent the enemy from: diving you, taking your tower and denying you farm. To set this up, you need shave the enemy wave so they have no more than 3 enemy ranged minions pushing against you. Then you will need to tank the minion wave and drop minion aggro by running into the bush when your minions get to lane. Ideally, you will be able to farm safely just outside your tower. Take these things with you and use them to your advantage in future games. If you ever find yourself in a tough matchup, be prepared to improvise, adapt and overcome! Thanks for reading! We hope you picked up some new techniques to make your unfavorable matchups more bearable. As always, you can find Picklepants in our Discord if you have any questions, and feel free to leave us a comment or suggestion below. Supporting Summoners on the rift since 2013, working my way up since 2017. One day might get out of Diamond.